bank fraud, and mail fraud aren’t even aware of the extent of the crime they have been charged with. At the criminal defense law offices of Edwin L. Guyer, we have been representing people charged with fraud, and other white collar crimes, since 1975. As a former prosecutor, attorney Edwin L. Guyer has built strong criminal cases against people who were charged with fraud. Now we put that experience to work protecting your rights, investigating the charges, and challenging the evidence to ensure that your rights are protected. 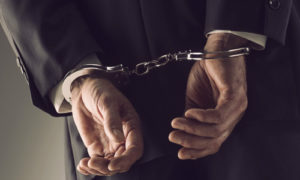 If you have been charged with a white collar crime, contact the fraud defense lawyers’ offices of Edwin L. Guyer, Attorneys at Law, to meet with us about starting a strong defense right away. Our attorneys have more than thirty-five years of combined experience helping clients get the best possible outcome for themselves and their family after being charged with fraud. We protect your rights. For more specific information about criminal defense law, please visit Criminal Defense Practice Information Center on this website. If you have been charged with fraud, contact the Law Offices of Edwin L. Guyer to meet with us.